This module is a multi-tool for importing voucher codes from CSV file into Prestashop database. Save more time with this module, import all vouchers just by one click! Module works perfectly with all coupon codes from websites like groupon, livingsocial, kgb deals etc. .... and much more features to personalize voucher codes in each available aspect ! Now module works with newest prestashop versions. It mean that you can import vouchers codes in PrestaShop 1.5.x! Hi, is it possibble to define a id_customer for each voucher, to restrict each voucher to 1 specific customer ? 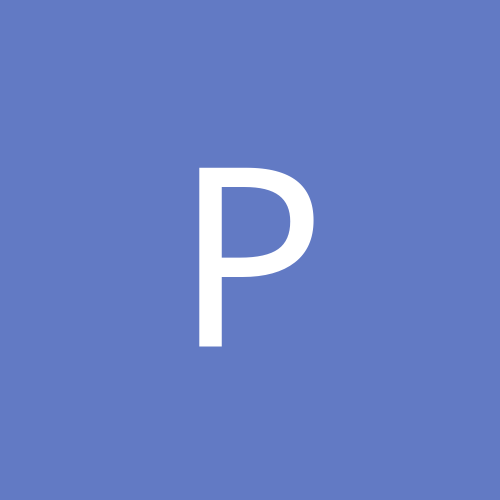 now it supports prestashop v1.6! Can I have back office demonstration for Prestashop 1.5.6.? Thanks, can you confirm that I can make 30 different codes with same public name but also different dates? It would be very helpfull if I could have example of csv to do that? The name that is displayed in the cart summary as well as on the invoice. 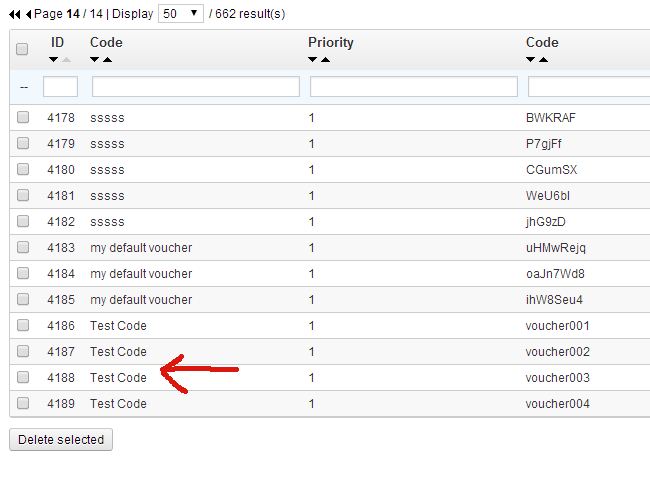 When you create vouchers in BO it is the first field.. Thank you very much, I'm buying Tell me just one thing more, how to name the field in csv for that public name? if you want, you can specify additional column in csv file, and while you import voucher select "description"
This second solution is great, thank you! I need I've uploaded csv file, and tried it on your demo shop, and it's showing me that the voucher has expired. code is erwer and it should be available till 11.06.2014. Maybe I have done something wrong while importing in database? can you tell me what is delete button doing? deleting csv only or inputs to database also? everything is working now perfect, good module! new version is ready to download ! addon is trusted by official market place - this means that you can use it in prestashop cloud! Is it possible to make 1 voucher with 10000 different codes. ? I want a voucher on checkout where a costumer can insert a personal code. module contains advanced voucher settings now! you can specify each aspect of voucher code! 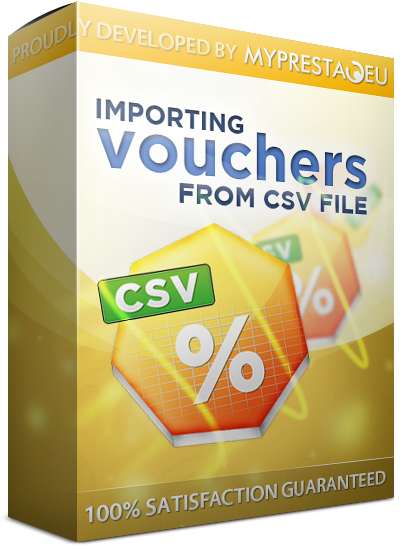 I have purchased, downloaded and installed the latest version of your module and it seems that it has limited use when it comes to setting up vouchers as you cannot import any product skus/reference from your import csv file. It seems that if your import file has a product sku in it there is no ability to map it to an input after you upload it to the server. And if you cannot use the product sku in the import then you would need to set up multiple different imports instead which defeats the purpose of actually having the module. Also, if you were to setup multiple imports, then you do not have the ability to copy/paste the product references/skus into the default ‘Add Rule Concerning Products’ area and you would thus need to select products individually which is a huge waste of time. 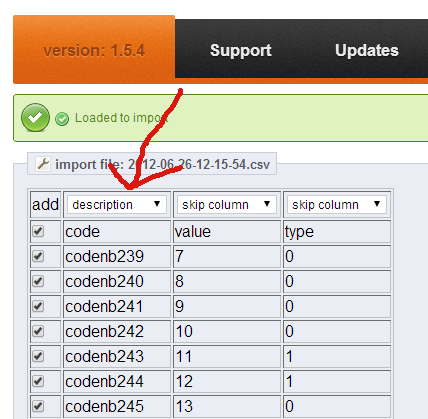 Lastly, I see that you can set a ‘value’ in a column of the csv that gets imported. I suspect that this numeric value can be treated as either a ‘$’ or ‘%’ discount? How can you set in the csv the type of discount (‘$’ or ‘%’) it is so that you do not have to ‘default’ it and everything that is needed can be setup only in the csv file? Please advise otherwise will need to uninstall it. 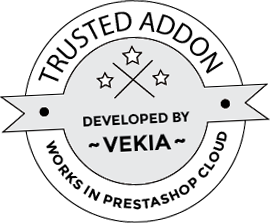 Vekia, Does this mean that product reference numbers can be used now in the import csv file? new version of the module is ready to use! 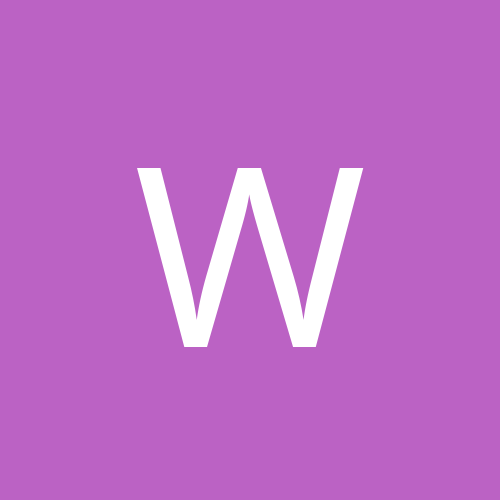 hi, can i use this module on multishop site? I need to load coupons on a specific store. 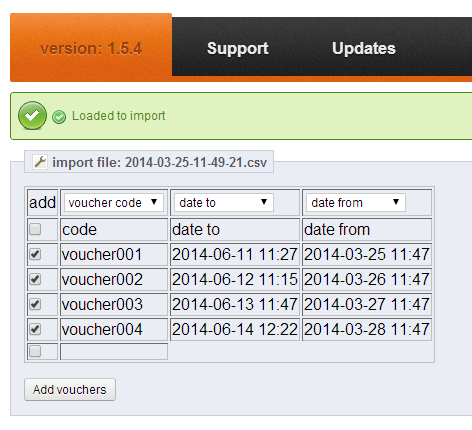 import voucher module updated, added minor fixes related to voucher code import (generation) process. new version of the module is ready! 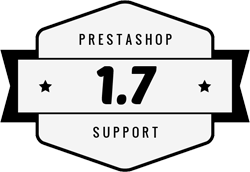 - module supports prestashop 1.7 alpha now! Is it possible to select multiple advanced conditions ? 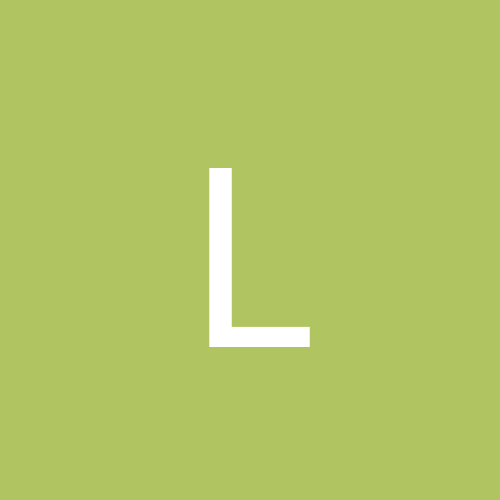 I need to define discount codes for a couple product attribute. this module allows to import many voucher codes with different settings,this means that you can import voucher codes with different settings. On the last on i've seen how it works. Thank You. new version of module released! added feature to define "date from" and "date to" (voucher valid time) with tool called "datepicker"